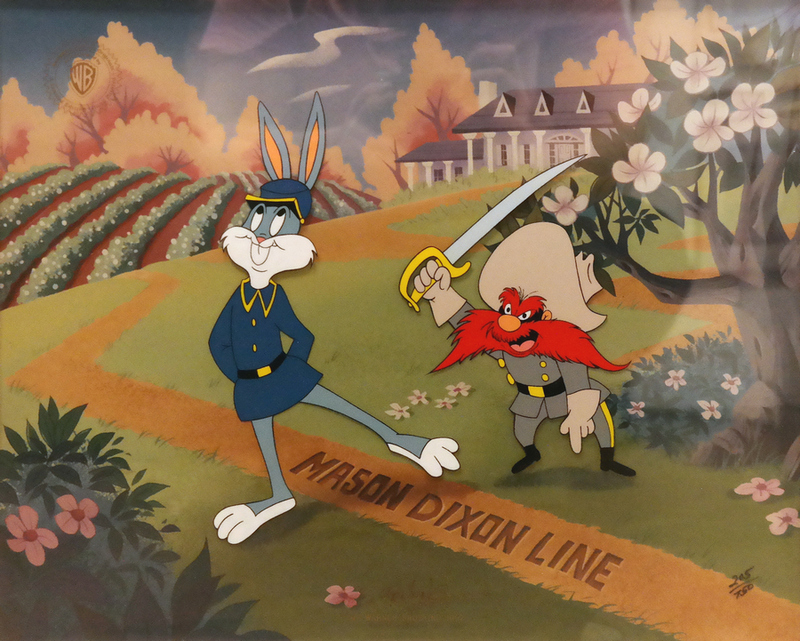 8.5" x 8"; matte opening 12.5" x 12.5"
This is a limited edition hand-painted cel featuring the famous Warner Bros. Studios characters Bugs Bunny and Yosemite Sam. 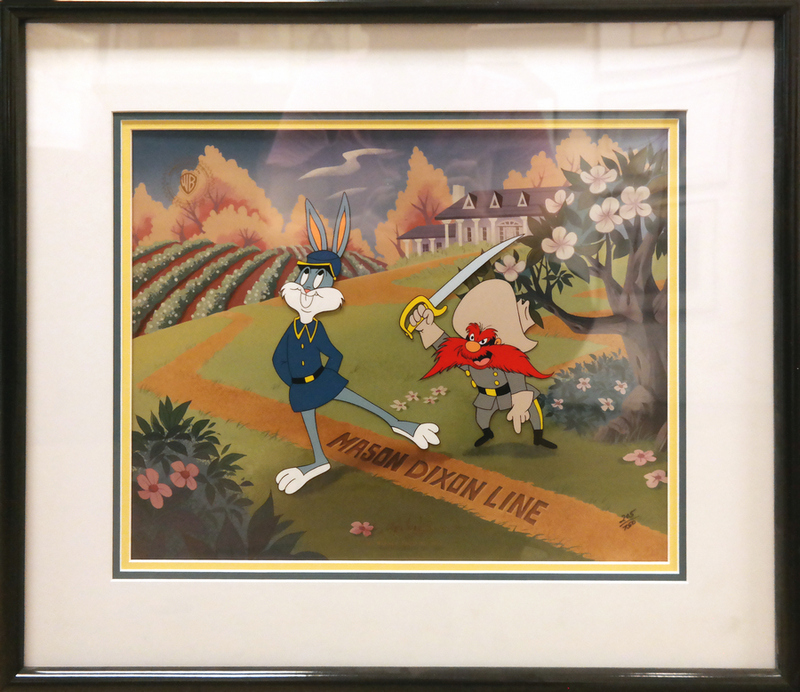 The cel is titled "Dixie," and comes from an image drawn by Fritz Freleng. It is number 205 from and edition of 750. The framed piece measures 20" x 23", with the matte opening measuring 12.5" x 12.5", and the image itself measuring "8.5" x 8". 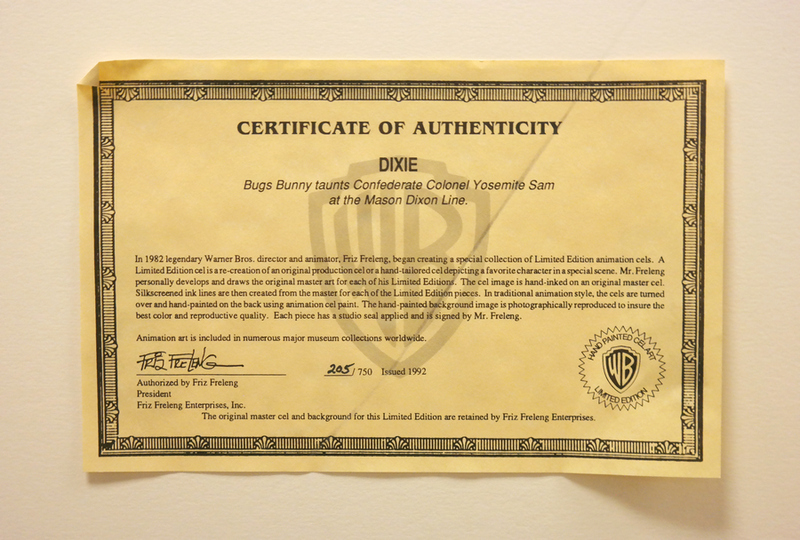 Also included is the original Certificate of Authenticity from the art publisher. This piece is in excellent condition.